Technology can be a great addition to an educational or behaviorally supportive program for individuals with autism. It may be used as a powerful reinforcer for some, can facilitate language and communication, and help to organize and present visual and auditory cues efficiently. Items like tablets and smart phones also tend to be highly acceptable to learners, parents, and society as a whole. We have come a long way from the days of Velcro, laminate, and tackle boxes full of reinforcers! In some cases, the entire array of tools needed to support and teach may be included in a single device. As great as technology may be for learners with autism, their families, and their teachers, however, there are some cautions that need to be observed. Here are some suggestions to make sure that technology is used effectively and does not have any detrimental effects. 1. Do carefully evaluate the functionality of the technology for the individual. Like any behavioral intervention, technology is not one-size-fits-all, and may not be appropriate for every use for every learner. Choose the type and application of technology that works best for the individual. Collect data on the success of the technology intervention, and make adjustments as needed. 2. Do teach alternative strategies that don’t rely on technology, to prepare for times when technology may be unavailable, broken, or inappropriate. Practice occasionally not using technology, so that when the inevitable happens (e.g., power outage, broken tablet, etc. ), the individual is prepared and has some coping strategies. 3. Do monitor for safety and appropriate usage. Many apps are so easy for learners to use that they can easily connect with other people, make purchases, or share personal information without parents or teachers noticing. Devices that connect to the internet via wi-fi or data plans must be carefully monitored for such activity. 4. Do teach learners to manage their devices independently. Learners should know how to charge devices, set alarms and reminders, and use other apps for self-management. Technology isn’t just for fun; it’s become a part of life for most of us, and learners can benefit the same as anyone else. 5. Don’t use technology for technology’s sake. If it doesn’t serve a real purpose for teaching or behavioral support, it should not be in use. Any application of technology in teaching or behavioral interventions should be clearly defined, conceptually systematic, and precisely planned. Check out The Self & Match System! Head to our website to learn more! Prompts are ways we help our learners demonstrate new skills. We use prompts to get our students to greet a peer, flush the toilet, name the color blue, and clap their hands. Prompts are something we add to the situation because the natural or teaching cue was not enough to cause the student to respond. The natural cue of being finished using the toilet was not a strong enough reminder to flush the toilet so we added the verbal prompt, “flush the toilet” and the student now responds. Prompts are important but fading them is just as important. Prompt fading needs to be planned from the start and an integral and essential component to the plan. Unless you are committing to following that child around for the rest of his life and tell him to flush the toilet – prompt fading is essential. * Plan it out from the start. * If incorrect responding begins, return to last prompt level. 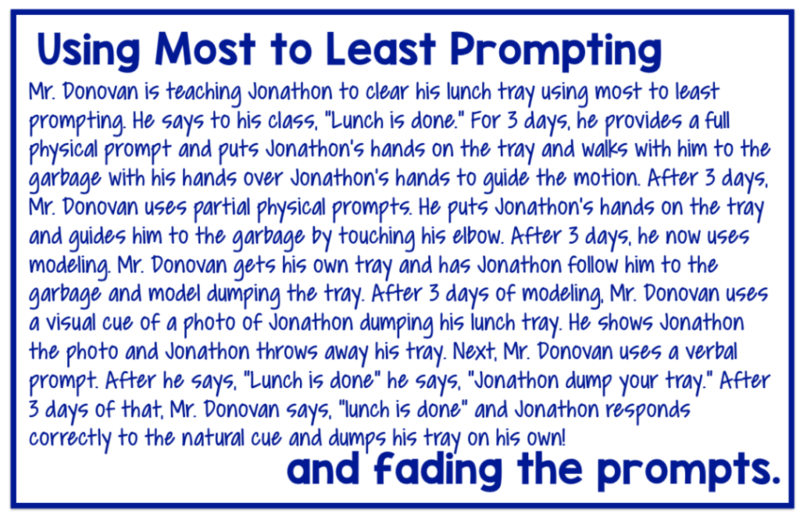 Like we discussed in Monday’s post, least to most prompting involves starting with the least intrusive prompts and moving up in the prompting hierarchy. This can be beneficial because it gives students to the opportunity to be independent and you are only providing as much prompting as needed. This is a strategy we tend to use naturally. When you meet a your friend’s toddler you put out your hand to give a high five. If she doesn’t respond you say, “give high five.” If she still doesn’t respond you move her hand to your hand to give a high five. This is a natural method of prompting. When using this method, ideally the prompts will be somewhat self fading. If you are always starting at the least intrusive prompt, your students will have the opportunity to demonstrate independence. As the student begins to learn the task, he will need less and less prompts to perform it correctly. take data; data is key to track progress. Every time you utilize this prompting method – note the level of prompt you used. You want to see that your student is requiring less intrusive prompts as time goes on. This will help avoid prompt dependence. use high powered reinforcers; use an item that is actually a reinforcer that your student wants to work for. The sooner he demonstrates the skills, the sooner he gets the reinforcer. 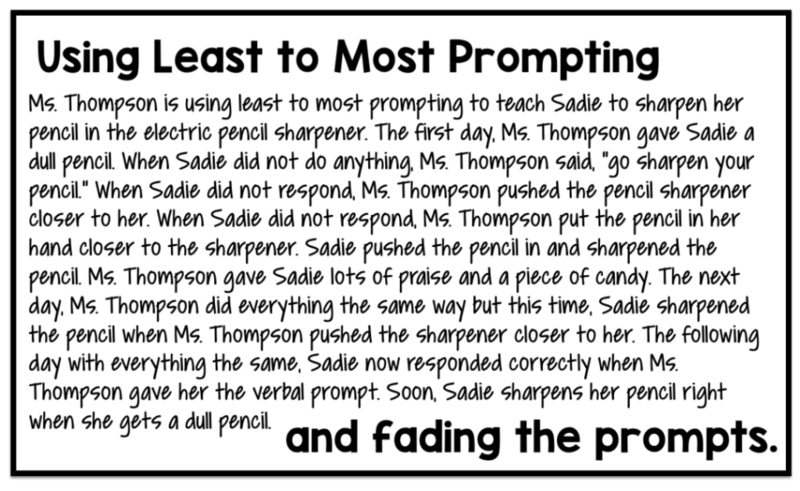 Most to Least prompt fading is another effective method of using prompts. With this method you start the most intrusive prompts and gradually fade to less intrusive prompts. The prompt fading is build right in. However, sometimes people forget that and in their head rename this most to most prompting. The key to errorless learning and using the most intrusive prompts first is that you fade the prompts out. The idea behind most to least prompting is that students will contact reinforcement right away and you will avoid errors and the students developing any incorrect habits. once you hit the criteria move to the next type of prompt; refer to our prompt hierarchy or order that is in Monday’s post. Move up the list to less and less intrusive prompts. fade magnitude than switch prompt type; before you switch from a gestural to a verbal prompt adjust the magnitude of the prompt. A dramatic point to an object is different that a nod of your head. Data is critically important for avoiding prompt dependence. You want to set a criteria ahead of time and take data to make sure you are sticking with the criteria. The criteria you set will depend on the student and the task. Maybe you want 3 consecutive days with each prompt level. If you are taking data you can ensure that you are sticking to that schedule. If errors begin occurring, go back a prompt level. The data will guide your implementation of this procedure. If you are fading too quickly, your data will tell you! Prompt fading isn’t scary. Plan ahead and make sure you train your staff. This is a group endeavor! One effective way we can fade prompts is using a time delay. A time delay inserts a set amount of time between the natural or teaching cue and our prompt. When utilizing a time delay, start with a zero second (i.e. no) time delay – so it will basically be like errorless teaching. For the first few trials, give the prompt right away so the student knows how to respond. Then after several trials, increase the time delay. For example, you may start with 2 seconds. 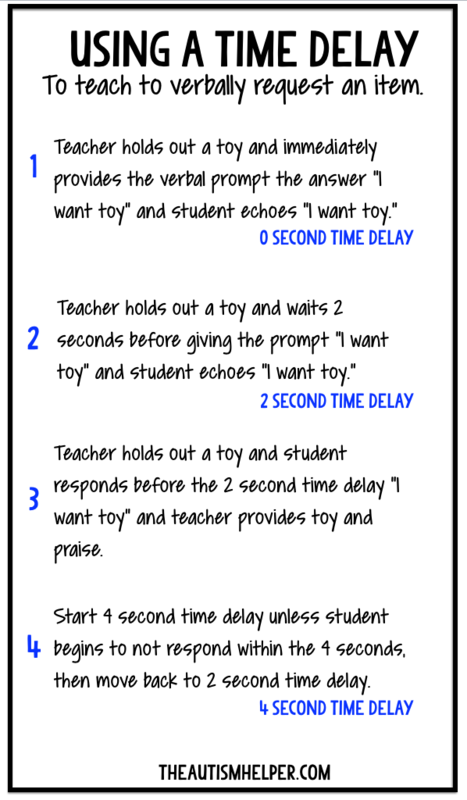 If the student does not respond within 2 seconds – provide the prompt. If the student responds before the 2 seconds, provide loads of reinforcement. Once the student is successful and responding under the 2 seconds for several trials, increase the time delay. Now wait until 4 seconds to provide the prompt. Continue on. If the student does not respond with the 4 second time delay, move back to the 2 second time delay. The key to time delay is planning and data. Set the criterion ahead of time. Plan how many sessions you will do at 0 seconds before moving to the first time delay. Determine what the mastery criteria is – how many times do you want the student to respond within the time delay before increasing the time delay length? Take data on this. It can easily and quickly get confusing if you don’t have a data sheet to track what you are doing. Write the plan in simple terms at the top of your data sheet. I like to track prompted correct (PC), prompted incorrect (PI), unprompted correct (UC), and unprompted incorrect (UI) using those abbreviations on my data sheet. If the student responds before the prompt it is counted as unprompted and if it’s after the prompt it is prompted! There is no magic number of trials or days you should stay within the 0 second or 2 second time delay. It depends on the student’s level of functioning and the difficulty of the task. This is where data majorly comes in to play. If you’ve moved along too quickly, you will know and you can scale back. Time delay works really well with verbal prompts. Another key component to time delay working successfully is making sure the reinforcement you give for the unprompted responses is better than the reinforcement for prompted responses. So if Johnny responds before the time delay and says the color blue on his own – give him 3 m&ms and praise but if you are using a 2 second time delay and he doesn’t respond and you provide the verbal prompt “bl…” and then he says blue only provide praise. 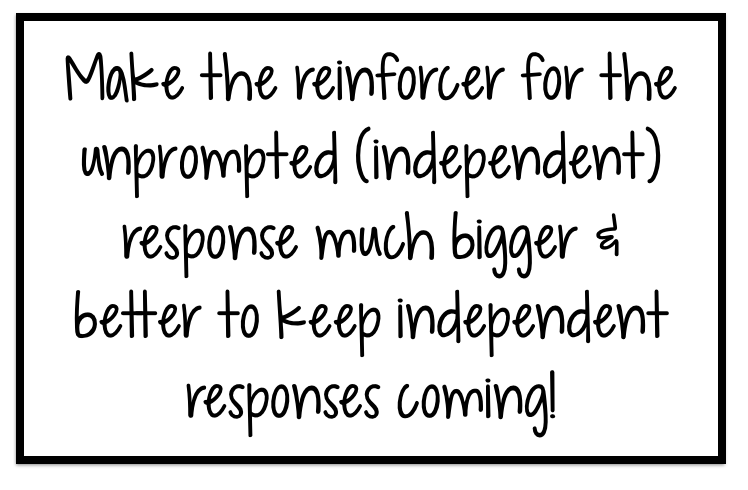 You want the independent responses to be getting more reinforcement so your student is motivated to engage in those responses more! Sasha Long, BCBA, M.A., is the founder and president of The Autism Helper, Inc. She is a board certified behavior analyst and certified special education teacher. After ten years of teaching in a self-contained special education classroom, Sasha now works full time as a consultant, writer, and behavior analyst. Sasha manages and writes The Autism Helper Blog, as a way to share easy to use and ready to implement strategies and ideas. Sasha also travels internationally as a speaker and consultant providing individualized training and feedback to parents, educators, therapists and administrators in the world of autism. She is currently an adjunct professor in the school of Applied Behavior Analysis at The Chicago School of Professional Psychology. Sasha received her undergraduate degree in Special Education from Miami University and has a Masters Degree in Applied Behavior Analysis from The Chicago School of Professional Psychology. 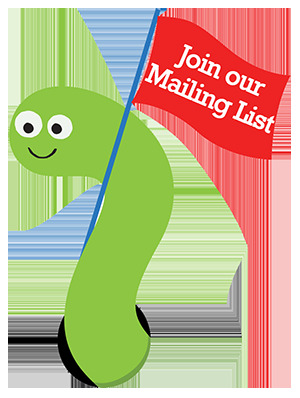 Contact Sasha at sasha.theautismhelper@gmail.com. What’s “NR” you ask? A common way to collect data after a trial in which the learner not only did not give a correct response, but didn’t respond at all, is to score “no response” (NR). While motor actions can be prompted if the learner does not do anything, vocal responses cannot. I say to my staff all the time, “we can’t reach into his/her throat and pull out words”. So if you say to your client “What color is the sun? YELLOW” and they just stare at you, then that was a “no response” trial. Many, many moons ago I worked at an early intervention clinic. We had one client in particular there, let’s call him Sam. Sam was the bane of my existence for a while, because he made me feel like an incompetent idiot. See, Sam was a very bright little boy with the most beautiful smile who could sing songs, answer questions, do simple academic tasks, and engage in various play skills. But then, Sam would hit a wall in his responding. He would remove all eye contact, stop smiling, and just stare blankly at…nothing. I haven’t met anyone since who could be looking directly at you, yet not looking at you at the same time. When Sam got like that he would not emit any of his target responses independently. This meant all motor actions were prompted, and good luck trying to do anything that required vocalizing. I just did not know what to do when this would happen, and it made me nervous to work with Sam because I knew it wouldhappen at some point. Sam is who I think about when I am working with staff who are having a hard time “connecting” with a client in the session. I can absolutely relate to how it feels to bring your A-game, put on your animated face, and get a lot of nothing in return. It’s frustrating, and makes you doubt your skills. When correct responding disappears from the session, some clients may turn super silly and distractible, or some may have a spike in aggression. Just between you and me, I would much rather deal with one of those scenarios. It’s the completely checked- out individual that I find to be the most difficult…..it is kind of like your clients body remained in the chair, but the rest of them got up, walked out of the building, and is headed somewhere FAR more exciting. *Waiting the client out – I have seen a few therapists try this one, and usually the client is perfectly content to keep staring into space as you wait them out. *Continue teaching/Keep up the status quo – Think of it like this, if your client has completely stopped any correct responding and you just keep plugging away: Is learning happening? * Speak louder – Sound silly? I see it a lot, and back in the day I was guilty of this one too. * “Saaaam…..Sam!….Helloooooo, Sam?” – If your client is not responding to demands to touch, give, open, or talk, odds are they also will not respond to their name being called. Now that we got all the stuff that does not work out of the way, I really only have one suggestion for what you SHOULD try when those non- responsive blues kick in. It may be just one suggestion, but it can look about 900 different ways depending on the learner. What my staff usually say to me (and how I used to look at this back in the day) is: “I tried this, and that, and this, and Sam just won’t attend/listen/respond! I don’t know what else to do to get him to (insert whatever response the therapist is expecting)”. What I am suggesting, is flip that statement on its head and instead ask yourself: “What can I do differently that will motivate Sam to respond? Am I interesting? Am I reinforcing? Would I want to attend to me? Is this program interesting? Are these materials engaging? When did I last reinforce any of his behavior? Is my frustration/annoyance showing on my face? Does my voice sound irritated? Am I moving through targets too quickly? Too slowly? How can I be more fun?”. See the difference? Instead of unintentionally blaming Sam for his lack of responding, first blame yourself. Then, look at your options and start trying them out to see what is effective. I am a big fan of “Let’s try this and see what happens”. Even if you try something and it fails, you just learned 1 thing that does NOT work. Which is still progress. “I’ve been providing ABA therapy services to young children with Autism since early 2003. My career in ABA began when I stumbled upon a flyer on my college campus for what I assumed was a babysitting job. The job turned out to be an entry level ABA therapy position working with an adorable little boy with Autism. This would prove to be the unplanned beginning of a passionate career for me. This piece originally appeared at www.iloveaba.com. Are all BCBAs robots, or just mine? This piece originally appeared on bsci21.org. Well, is your behavior analyst Vicki from the 80s sitcom, ‘Small Wonder’? If yes, then she is a robot. If not, then let’s look at this a little more closely. You aren’t the first person to think a BCBA (Board Certified Behavior Analyst) is a little too professional and data obsessed. And you likely won’t be the last. Just so you know it’s not simply my own opinions here, I’ve sought some input from some stellar BCBAs I happen to know. Behavior analysts hold ourselves to a higher code of ethics than a lot of other professions. We follow the Behavior Analyst Certification Board Ethics Code. It’s 24 pages long. We’re serious about ethics around here. There are multiple sections in this code regarding professional relationships and cautions us against multiple relationships, conflicts of interest, and exploitative relationships. What does this mean? That to some extent a BCBA HAS to be too professional. Becoming besties with our clients isn’t allowed. That would become a conflict of interest and your new bestie would have to drop your services and refer you to someone else. Another robotic attribute of BCBAs- we love data. We live for data. All programming should come directly from data. All discussions of your child’s progress should be based on data. I kind of sound like a robot just typing this. Data. Data. Data. “The key for anyone new to ABA is to understand that it’s a science. All of our decision making is based on data collection, analyzing that data, and then using it to help us decide what steps to take next.” – Kristin Fida, BCBA. “We count on data to indicate to us whether what we are doing is working or if we could be doing something differently to increase your child’s success. Data provides immediate feedback ensuring precious time is not wasted. While our obsession with data may seem excessive, we put our heart and soul in to what we do and with each individual data point we are assured that your child is successful and achieving their goals!” – Brittany Keener, BCBA. And finally, BCBAs can be too professional and robotic by not using user-friendly language describing the principles of ABA. We can forget that not everyone uses words like antecedent, mand, tact, reinforcement contingency, and etcetera. Behavior analysts who throw around these big words and don’t take the time to make sure they make sense to you probably do sound like robots. But even with all these reasons listing why BCBAs are kind of like robots- here’s the truth of the matter. We love our jobs. We love behavior analysis. We love our clients. We love to help others make progress toward goals, reduce problem behaviors, and teach new behaviors and skills. We cry over setbacks and celebrate every small step of progress with our clients. We jump for joy when a client spontaneously engages in a behavior we’ve been working on for eons. We lay awake at night thinking about programming, about how to help our clients make progress faster. We worry about our clients, we care about our clients, we do everything we can to make effective behavior change in our clients’ lives. We are not robots. As a group, that is. There may be a few behavior analysts out there who don’t feel this way. Find one of the many who do; they (we) are the majority. Find the BCBA who lives for positive behavior change. Work with a team that plans for your child’s future, that helps your child be more independent, that uses your child’s interests to promote learning. Be an active part of that team- communication and collaboration between you and the behavior analyst are the keys to serious progress! Behavior analysts are not robots. We may like data a lot (bordering on obsession), but we use it to help people in real ways. Talk to your BCBA. Tell them your concerns, listen to their explanations for why programming is done a certain way. If they use jargon- tell them you aren’t familiar with all the ABA terms. The more collaboration between you and your BCBA- the better for your son! In my 14 years practicing in the field, the majority of people that I encounter are driven by a desire to see their students. However, even with the best intentions, we may face barriers in collaborating with other staff members. Follow the tips mentioned above and reach out to colleagues who seem to need additional support. I try to continually assess the needs of the teams I work with throughout the year. Maybe the team needs a refresher on a certain skill area – see if you can work this into your yearly professional development time. When we work together as a team, we can help so many students achieve their goals! Article originally posted on Stages Learning Materials Blog.